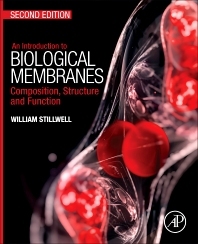 Introduction to Biological Membranes: Composition, Structure and Function, Second Edition is a greatly expanded revision of the first edition that integrates many aspects of complex biological membrane functions with their composition and structure. A single membrane is composed of hundreds of proteins and thousands of lipids, all in constant flux. Every aspect of membrane structural studies involves parameters that are very small and fast. Both size and time ranges are so vast that multiple instrumentations must be employed, often simultaneously. As a result, a variety of highly specialized and esoteric biochemical and biophysical methodologies are often utilized. This book addresses the salient features of membranes at the molecular level, offering cohesive, foundational information for advanced undergraduate students, graduate students, biochemists, and membranologists who seek a broad overview of membrane science. 1. What Is a Biological Membrane? 2. Why Are There so Many Different Lipids? 3. How Many Membrane Protein Types Are There? Dr. Stillwell was a faculty member at Indiana University-Purdue University Indianapolis for 32 years where he taught a senior level course in Biological Chemistry and a graduate level course in Biological Membranes. He also led an active research lab on the effect of omega-3 fatty acids on model membrane structure and function. He has published 140 papers and 400 abstracts on membranes. He has been an Associate Editor of Chemistry and Physics of Lipids. He retired in 2010 and now maintains Professor Emeritus status.